Basement and attic – these are some of the most areas we often neglect. If this is your current problem, you’re most probably looking for a basement or attic clean out NJ service in New Jersey whom you can trust. The good news is, 1-844-JUNK-RAT is here to help. 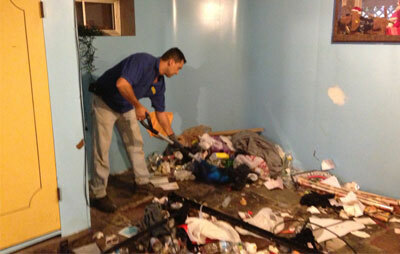 Serving New Jersey since 1997, 1-844-JUNK-RAT can take away just about any junk you have at home or office. Small or large, heavy or not, our professional crews will take away stuff that you want to go, without asking you to lift a finger. That’s right, no lifting or loading for you! Our rates for basement or attic clean out are absolutely affordable – you don’t have to pay for the entire space in our truck, only those that your junk takes up. But don’t get us wrong – we make quality and consistent service a top priority in New Jersey. For bookings or questions on our local junk removal service New Jersey in New Jersey, contact us at 1-844-586-5728 or 1844junkrat.com. If you book online, you’ll get instant $20 discount!